These crystal doves makes an elegant centerpiece or mantle piece. This Christmas craft is easy to make and will accent your dining room beautifully. Craft foam balls: one 5", two 1 1/2"
Preparation. Use craft knife to cut off 1/3 of 5" ball. Also cut one thin slice from each small ball. Discard slices. Make bird bodies. Insert a toothpick between one egg and flat edge of one small ball. Apply glue and press together. Repeat for second body. Tear tissue into small pieces. Brush decoupage medium on one foam body to completely coat it. Cover body with tissue pieces. Brush second coat of decoupage medium all over body. Sprinkle with glitter while still wet. In same way, cover second body and the large ball for the base. Add details. 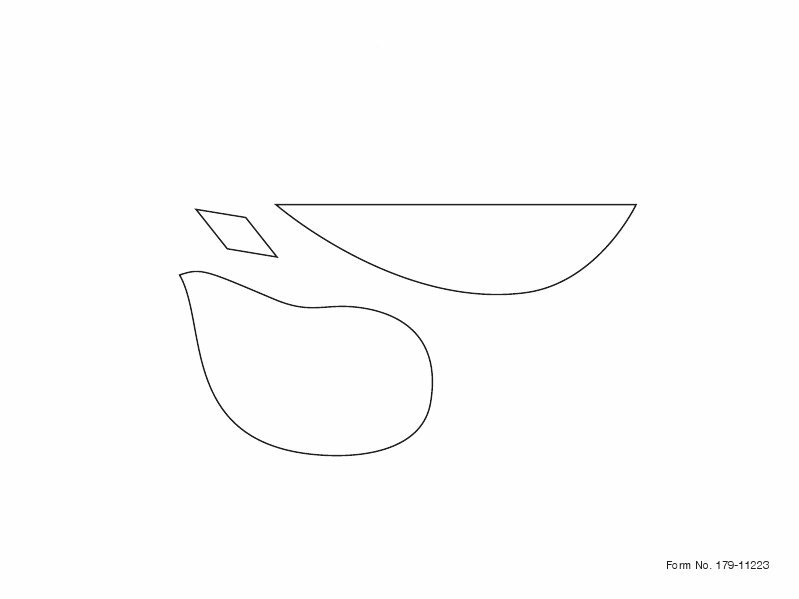 Cut beak, wing, and tail pattern pieces from cardboard (see link to pattern above). Brush coat of decoupage medium on one side of each piece. Sprinkle with glitter. When dry, repeat for other side. Assemble. Cut small slit in tail end of each body. Glue tail into slit. Glue wings to sides of birds. For eyes, insert two pearl head pins into each head. Fold beaks and glue to front of bird heads. Finish. Insert branch into ball base. Glue one bird onto branches. Glue second bird to base of branch. 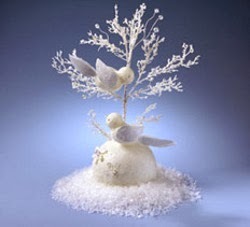 Glue snowflakes to ball base.